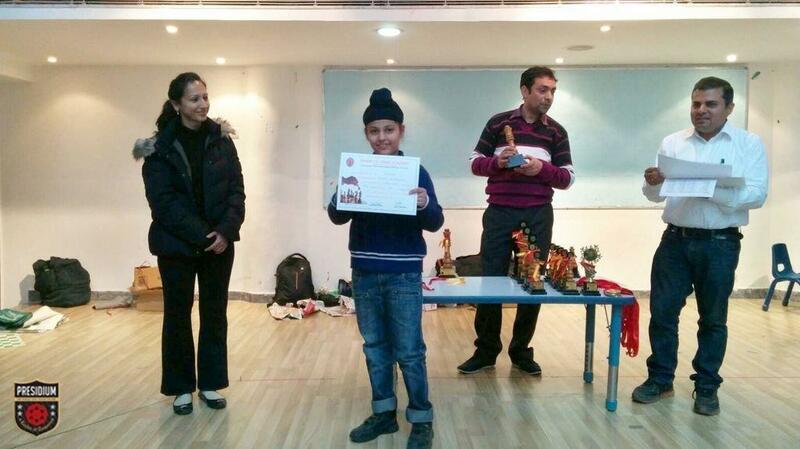 Presidium’s champ, Tanveer Singh from Presidium Dwarka 16B of Grade IVth bagged the Third Position in the Under 11 Age Category at the Pinnacle Invitational Chess Championship. The championship was held in Adyant School Vasant Kunj on 27th December, 2015. Around 52 students from 12 different schools participated in the competition under the same category. Tanveer gave an outstanding performance. We are proud of you Tanveer.